1999 has a rather low profile. It is certainly not considered a great vintage, but neither do people think of it as a poor one. The “received wisdom” seems to be that it is early maturing and on the light side. I recently invited some American friends studying wine industry management at Bordeaux Sciences Agro to lunch for a double blind tasting. My notes are cursory seeing as I was hosting a meal, but I still though they were worth sharing. We started off with two Champagnes. 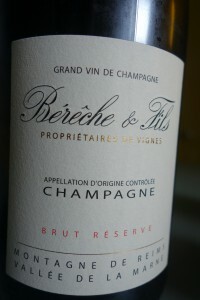 The Bérêche Brut Réserve was wood-aged, which is not very common these days. The nose was pleasant enough, but the taste was rather one-dimensional and the oak added more hardness on the aftertaste than anything else. 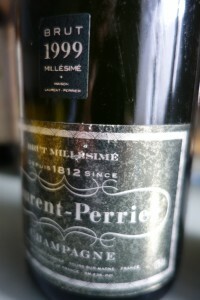 The 99 Laurent Perrier, on the other hand, was a beautiful wine, pretty much in its drinking window although it will age for many more years. The nose was biscuity, creamy, complex, and a real treat. The wine was also yummy on the palate with a long fine aftertaste. This was one of the most enjoyable Champagnes I’ve had in a long time. We enjoyed a bottle of 2001 Ch. La Tour Blanche with foie gras and toast. 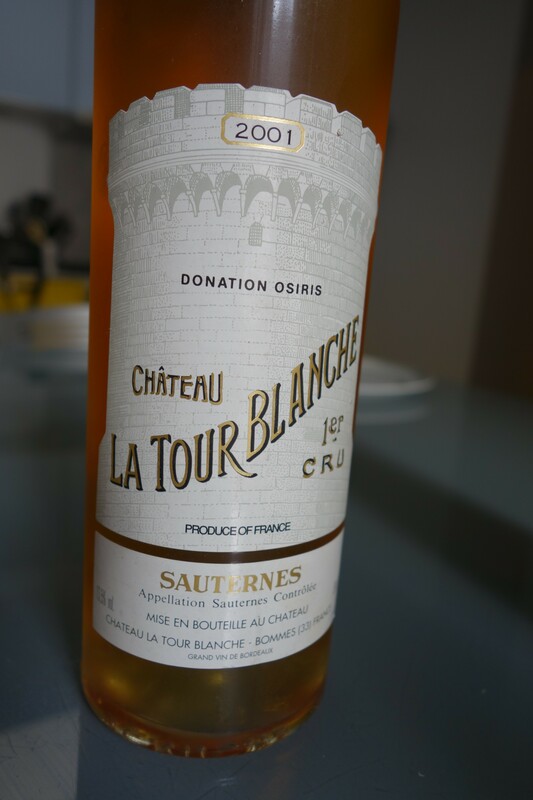 I have a soft spot for this vintage of La Tour Blanche because I spent a day picking grapes there in 2001 with my wife and son. The wine had a lovely deep golden colour with bronze highlights. The nose was utterly classic with vanilla overtones to complement the rich botrytized fruit aromas. The wine was neither too heavy nor too sweet on the palate and it had a smooth, long aftertaste with some zippy acidity and a lovely touch of bitterness that kept it from being cloying. The consensus was that this 2001 was nearing the middle of its drinking window, but that it has a very long way to go. Next up were the three 99s, all great growths from Pauillac. The wine we liked most was Mouton Rotshchild, even though there was some greenness on the nose and we would have liked more flesh on the bones. I had enjoyed this same wine during Vinexpo 2015. That bottle was further along, even tired. 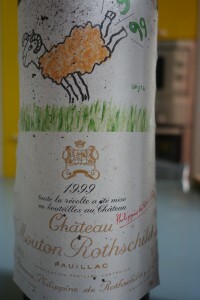 This one was more vital, but still not a benchmark Mouton. It is fine to drink now and won’t gain much form further ageing. 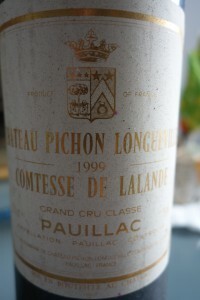 99 Pichon Comtesse was, as expected, the smoothest and roundest of the three, but the nose had a carmel quality that I didn’t like very much. 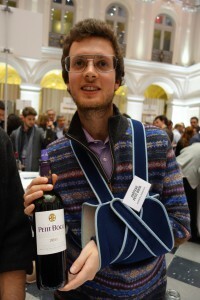 My honest impression is that the wine was starting to fall apart and that it was somewhat disjointed. This statement must be put in perspective, however, because the wine wasn’t actually poor – just a shadow of what a great vintage would be like. 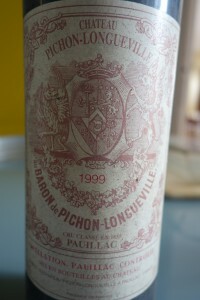 99 Pichon Baron might have trumped Mouton except for some TCA on the nose. This wasn’t marked enough to leave off tasting the wine, but it certainly detracted from the overall impression. That’s a pity because the wine was much, much better on the palate than the Mouton, with a good tannic texture and structure missing from the other two wines. I’m inclined to think that a bottle without cork taint would have been the best of the lot. Posted in Uncategorized and tagged Médoc, vavino, wine, winelover, winewednesday on February 13, 2016 by AlexR. 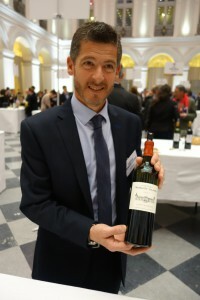 Bruno Prats of Château Cos d’Estournel once told me that the Médoc should not be divided into communal appellations, but rather a string of gravelly rises running parallel to the Gironde, i.e. vertically rather than horizontally. The word he used, chapelet, also means rosary beads! Be that as it may, wine from each Médoc commune pretty much has its own reputation. 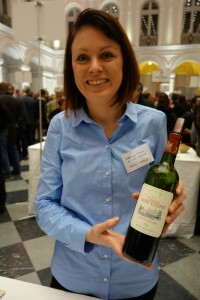 Margaux is said to be “feminine”, Saint-Julien “fleshy”, etc. Adjectives often used to describe Saint Estèphe are “strong” and “virile”. 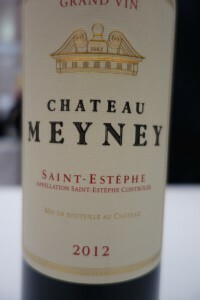 It has been a long time since I did an in-depth tasting of wines just from Saint-Estèphe, so I was delighted with the opportunity to go to one organized by Terre de Vins magazine. This was held on the 4th of February 2016. 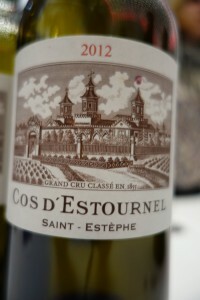 Saint-Estèphe has 43 independent winegrowers, 5 great growths (24% of total area under vine) and a cooperative, Le Marquis de Saint-Estèphe, with 17 members. 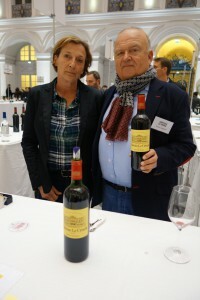 Every château served two vintages: the 2013 and one other of their choice. I decided to bypass the 2013s, not out of snobbery, but because with 40 estates present, I couldn’t taste everything. Please also note that the color of young Bordeaux does not vary tremendously, so I have rarely mentioned it in my tasting notes. The first wine I sampled upon arriving was at 2011 Ch. Le Crock (32 hectaresà. 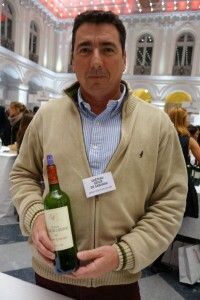 This was poured by Didier Cuvelier, who is also owner of Léoville Poyferré. 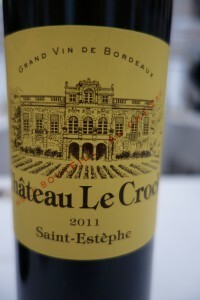 The wine had a well-focused, soft and fairly understated bouquet of brambly berry fruit. The wine seemed quite fluid on the palate with unaggressive tannin. Not a powerful wine and the aftertaste is shortish, but pleasing and with decent grip on the aftertaste. Will be enjoyable soon. 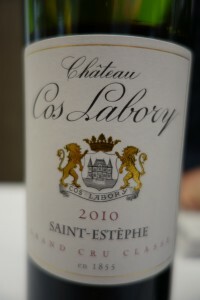 Next up was Château Cos Labory (18 hectares), where I tasted the 2010. I stopped to chat with M. Bernard Audoy, who also happens to be the president of the Saint Estèphe winegrowers association. Because of the number of people crowding around the tasting table, I did not have much time to talk to him, but was able to slip in one question: “What are the trends in your appellation, what has changed most over the past several years?” He thought a moment and replied, “The percentage of Merlot is now much greater than it used to be”. The 2010 Cos Labory I sampled had a very closed, almost mute nose, but there were some cranberry notes lurking there and little evidence of oak. The wine started out quite round and forthcoming and then shifted gears to show the estate’s hallmark tight and somewhat astringent tannin. Not the kind that will soften with age, in my opinion. It is remarkable how different this wine is from its neighbor, Cos d’Estournel. 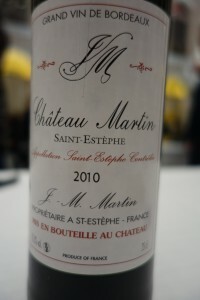 I had never come across Château Martin, so I was interested to meet the owner, M. Jean-Marc Martin, and taste his 2010. He has 28 hectares in Saint Estèphe and 24 at in the next town over, Vertheuil (Cuvée La Marsaudrie). The nose showed a surprising amount of toasty oak and a touch of caramel. The wine was round, chewy, and very fresh on the palate. This freshness continues onto the aftertaste. Although very enjoyable now, the wine will also age. This was a nice discovery for me, the sort that makes tastings such as this worthwhile. 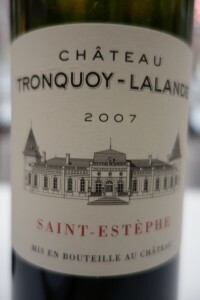 Tronquoy-Lalande is a 30 hectare estate that is the younger brother of Château Montrose (by the way, this was the only great growth I was not able to taste – they had run out of wine!). Their 2007 was on show. The nose was deep, but not wide – a fine bouquet in a minor key. Forest floor nuances accompanied the fruit and there was a very feminine side. I might have detected a hint of volatile acidity though. The wine was big on the palate, but somewhat hollow and short. It picked up, however, on the aftertaste. This is the kind of wine that would be a treat with food, but suffers when appraised on its own. 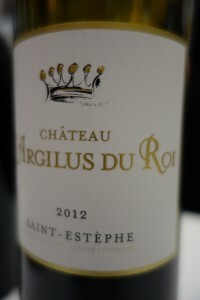 I had never tried Château L’Argilus du Roy (5 hectares) before so was intrigued by their 2012, which I quite enjoyed. It had a lovely berry nose: upfront, smooth, and sweet. The wine had good volume, even if there was a certain hollowness on the middle palate. There was a fine tannic follow-through and an attractive tangy finish. This was certainly one of the discoveries of the tasting for me. 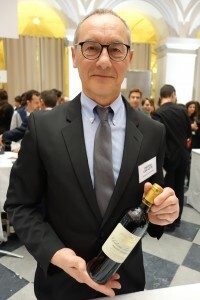 I’d like to see what this estate do in a better vintage and follow its progress, because the present owner, M. Martial Mignet, has not been in the driver’s seat for very long. He told me that Guy Savoy orders his wine, which is a pretty good recommendation. Château Meyney (50 hectares) has long been a favorite of mine. Curiously, I’ve never visited and that is something I must remedy J. The 2012 did nothing to change my opinion about this dependably delicious wine. 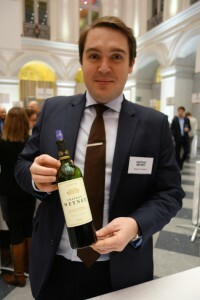 The nose was very classic Médoc: clean and bright with plenty of blackcurrant and a slightly spirit side. The wine was round and meaty on the palate with a lovely deep black cherry flavour and a great aftertaste showing good grip. 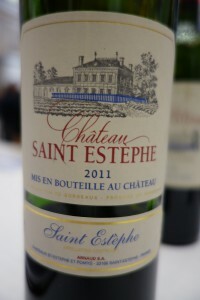 A textbook Saint Estèphe and a very good wine that does not need to blush when compared with certain grands crus. The fact that the estate is owned by one of France’s biggest banks, the Crédit Agricole, doesn’t detract at all, as far as I’m concerned. They do good work. I have dim memories of having tried Château Lavillotte (12 hectares) before, but definitely wanted to become reacquainted. Unfortunately, this was not one of the better wines that evening. The 2010 featured a nose that was overoaked and reminded me of smell of a cellar with all new barrels. The wine was light and, once again overpowered by the oak on the palate. It seemed inconsistent with its appellation and the great vintage it came from. I must give it another chance sometime. Lilian Ladouys (45 hectares) is part of the Jacky Lorenzetti empire. 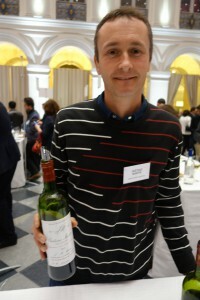 This Franco-Swiss also owns fifth growth Château Pédesclaux in Pauillac and half of Ch. 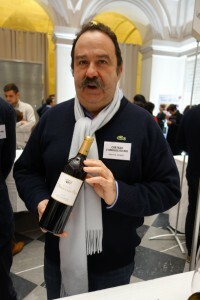 d’Issan in Margaux. 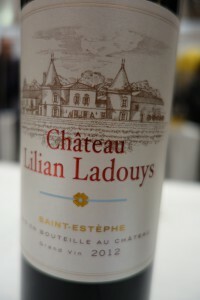 The 2012 Lilian Ladouys had a penetrating bouquet with a nice balance between fruit and oak. The wine was juicy and lively on the palate with a tangy finish. 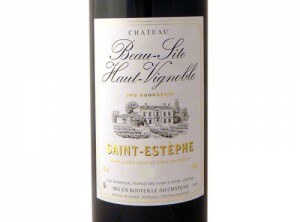 This is a modern Bordeaux in a crowd-pleasing and relatively early-maturing style. The aftertaste was more authoritative than expected, if a little bitter. As for ageing potential, I’d give this the benefit of the doubt. 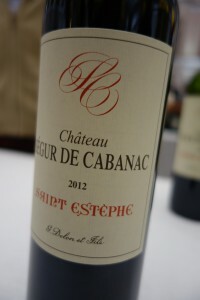 2012 Château Ségur de Cabanac (7 hectares) was light in color with a pure, simple, understated bouquet. It was big and round, but somewhat dilute on the palate. The wine fell down in the middle and the tannin on the finish was rather unyielding. A sound wine, but not one of the best. 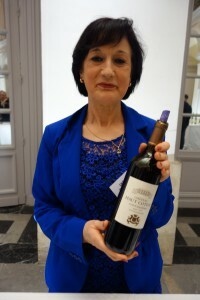 It is fairly rare for Médoc châteaux to produce a cuvee prestige, but La Haye (16 hectares) has one called Majesté, which I tasted from the 2012 vintage. This was a classic example of what happens when one tries too hard – the nose was patently overoaked. Of course, I don’t rule out the possibility that the fruit will emerge and possibly take the upper hand over time, but color me dubious. 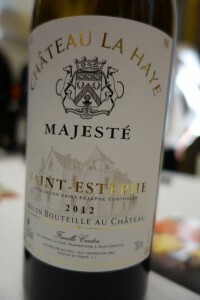 2012 Majesté was big and reminiscent of a New World wine with strong tannin and a dry finish (oak). I prefer the regular bottling of Château La Haye. 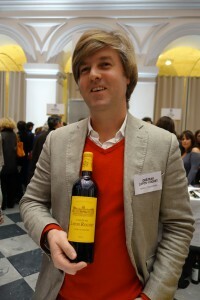 The next table was Château Lafon Rochet (45 hectares), manned by Basile Tesseron. 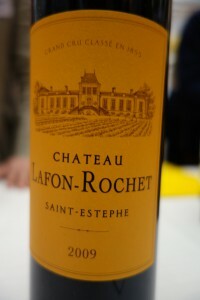 2009 Lafon Rochet turned out to be one of the high points of the tasting. The nose displayed fine, well-integrated oak and a soft, enticing, complex nose of sweet fruit (raspberry). Just wonderful. The wine turned out to be unexpectedly soft on the palate and segued into a tremendously long aftertaste with an ethereal berry finish and superb tannin. Give it another 10 years. 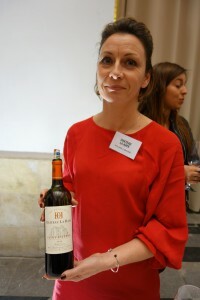 Unquestionably one of the top wines in its appellation – and the classified growths of the Médoc. 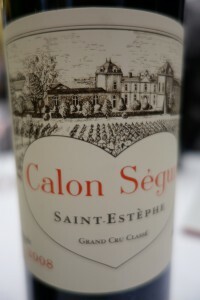 Another cru classé was next on the list: third growth Calon Ségur (50 hectares). A lot of changes are happening here. 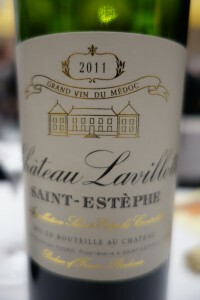 The estate was sold by the Capbern-Gasqueton family to Suravenir Assurances in 2012 and a new cellar is being built. However, the most important change is the wine itself, where a new, more supple and early-maturing style is being sought. The vintage I tasted, the 2008, is from before this change. The nose was toasty and brooding with a chocolatey side. Very promising. The wine was quite big, chewy, and assertive on the palate: my notes, written in the heat of the moment, say “an elegant steamroller”, whatever such expressions mean! The aftertaste was tight and seemingly uncompromising. Further ageing will nevertheless smooth this out considerably. 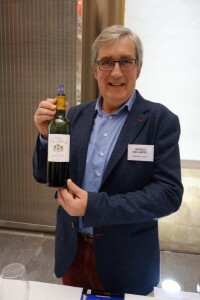 On the whole, though, there was not quite enough richness to back up the tannic structure and the wine could be better balanced – a good, but not a great vintage for Calon Ségur. Calon Ségur was followed by second growth Cos d’Estournel (91 hectares), a big hitter by anyone’s standards, and one of the great Médocs. The nose of the 2012 was quite classic and pure with exquisite hints of blackcurrant as well as cedar and graphite reminding us that Pauillac is just a stone’s throw away. The bouquet was both intense and subtle. The wine was very classy on the palate, with great acidity and balance. There was a pleasant dryness on the finish. The oak needs time to meld and this is on the light side for Cos, but it is nevertheless quite a successful wine from a middling vintage. 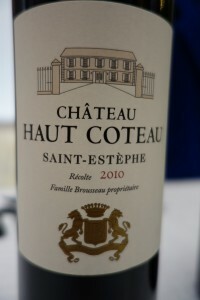 I was totally unfamiliar with Château Haut-Coteau (14 hectares), so I was eager to try the 2010 vintage. Redolent of wild berries, the nose was simple and pleasant but lacked a little oomph and definition. It was fairly enticing even so. 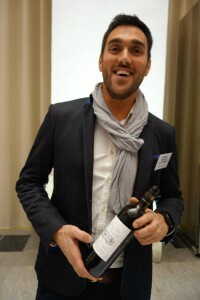 The wine showed better on the palate, with juicy morello cherry flavours, although it dipped in the middle. The flavour picked up again on the aftertaste with plenty of (slightly rough) tannin. This wine will be ready to drink soon, but will never be altogether balanced. 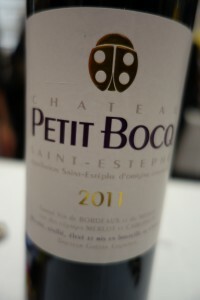 2011 Château Petit Bocq (19 hectares) had an upfront, aromatic nose of ripe blackcurrant, vanilla, and mint that was reminiscent of New World Cabernets. However,there was too much oak, or this was overly toasted, or both… The wine seemed a little overdone on the palate, but it did have a tangy finish. Pity that the balance was off due to the type of barrel ageing, because this is an interesting wine. It just needs less oak. The Château de Saint-Estèphe (12 hectares) is owned by the Arnaud family, who also own Château Pomys, also in Saint Estèphe. I tasted the 2011 which had a confected nose with spring flower, wild berry, and caramel nuances. It was also toasty and unfortunately already a little tired. The wine was simple, fruity, and ready to go on the palate, with a thirst quenching quality and an unexpected dry mineral aftertaste. Best enjoyed sooner rather than later. The final wine (after 15 or 20, I’m just no good) was 2009 Beausite Haut Vignoble. The bouquet was on the indeterminate side, with forest floor overtones and a touch of greenness. Fortunately, the wine was much better on the palate with deep, rich, candied cherry flavours – one of those instances where there is a decided sensation of sweetness despite the absence of sugar. The aftertaste was on the dry side, but this was nevertheless a good wine that would be even better with food. Can any sort of conclusion be drawn from the tasting? Broadly speaking, I would say that the wines were on the hearty, solid side. The crus classés confirmed their position as clearly superior. I haven’t mentioned price at all, but several of the crus bourgeois were very good indeed and the price puts them among the best values to be found in the world of wine today. Posted in Tasting notes and tagged Médoc, vavino, wine, winelover, winewednesday on February 10, 2016 by AlexR.